A new ACPA video, Insist on It, advocates contractors' use of certified concrete-pump operators. The group's certification program provides an independent written assessment of the concrete pump operator's safety knowledge; the video discusses certification benefits, including reduced workplace accidents, improved performance and marketing advantages. Operators can earn certification in seven classifications, ranging from grout pumps to 50-meter-plus boom pumps and placing booms. Candidates must possess a valid driver's license; have the minimum experience required for each type of pumping equipment; and, fulfill four hours of an ACPA safety training course. Copies of Insist on It can be obtained from the association, 614/431-5618. 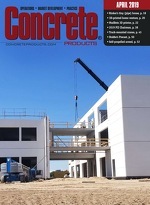 The video can also viewed at www.concretepumpers.com.